Experts Answer: Should You Be Allowed to Create Your Own Clone? Earlier this month, Chinese scientists cloned two female macaques. Although it wasn’t the first time primates had been cloned successfully, it was the first time they’d been cloned using somatic cell nuclear transfer, the same technique used to clone Dolly the sheep in 1996. For somatic cell nuclear transfer, scientists implant the nucleus from a cell of the animal being cloned into a donor egg. That egg is then exposed to an electric current, which causes it to develop into an embryo that can eventually be carried by a surrogate. In prior experiments involving primates, this process failed during the blastocyst stage of embryonic development. However, by introducing a compound called trichostatin A and messenger RNA to the mix, the Chinese researchers were able to avoid the pitfalls of previous attempts. This was a major breakthrough because, unlike other cloning techniques, which can result in a maximum of four clones, somatic cell nuclear transfer can produce an unlimited number, which could be a huge boon for medical research. While the scientists responsible for the cloned macaques maintain that they have no plans to pursue human cloning, the fact remains that the scientific obstacles preventing such a project are being dismantled. Soon, the only potential hurdles will be ethical ones centered on the idea of whether the benefits of human cloning outweigh its moral ramifications. Since 2002, the American Association for the Advancement of Science’s (AAAS) statement on human cloning has been the definitive guide for scientists in the U.S. regarding the ethics of human cloning. As Joanne Carney, program director of the AAAS’s Office of Government Relations told Futurism, the association has no plans to revise its statement or change its stance on reproductive cloning in humans in light of recent developments. Today, scientists seem to accept the AAAS’s position. However, according to Margaret R. McLean, director of bioethics at the Markkula Center for Applied Ethics, that might just be because they don’t yet have the commercial incentive to go against it. If such an incentive were to arise, such as the ability to clone human bodies solely for the purpose of harvesting healthy organs, scientists may start to reconsider the AAAS’s ban on human cloning. Scientists aren’t the only ones who need to consider the potential ethical ramifications of human cloning. Now that the possibility is just on the horizon, the general public in the U.S. needs to start thinking about those ramifications, too. “We need increased transparency regarding the development of and goals for new biotechnologies, which can come from more robust federal funding of basic and applied research,” she added. 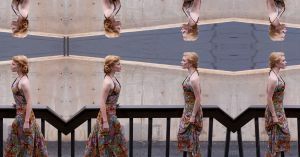 Given the renewed interest in the subject, Futurism decided to ask the above experts to share their thoughts on whether human cloning should be allowed in the future and what sort of problems might arise from human cloning projects. Here’s what they had to say. I think that we should be careful not to read too much into the announcement from China. While undeniably cute, the cloned macaques, Hua Hua and Zhong Zhong, are not necessarily forerunners of human cloning. Importantly, although the technique used to create Dolly the sheep can be used to clone primates, the building blocks are not the same. The bouncy macaques originated from fetal cell nuclei. Dolly originated from adult cell DNA, replicating an already-existing genome. So, although Dolly was the clone of an adult sheep, cloning an adult monkey failed. If attempts at cloning different species have taught us anything, it’s that the process is immensely complicated and works “easily” in some species and not so easily in others. It is a big scientific step from primates to humans. Still, this announcement has rekindled the debate about human cloning – whether it should be pursued and for what purpose. Certainly, safety considerations and our obligation to not cause undue harm should give us pause. After all, Hua Hua and Zhong Zhong were the only live births to result from the cloning of 79 embryos. But, even if proven “safe enough,” what would be a defensible reason for applying cloning technology to humans, especially since the advent of gene editing? The scientists themselves deny any interest in human cloning. Unfortunately, our automatic reflex to think about human applications has taken our attention away from the ethics of primate cloning itself. The researchers’ goal is to create genetically identical monkeys to be used in the study of human disease, especially diseases of the brain. We need to ask ourselves if the potential to understand and cure human disease justifies the deliberate creation of primate clones for research. The AAAS supports research cloning and the use of somatic cell nuclear transfer to enhance the ability to produce cloned cells in order to test possible therapies on diseases. People immediately think we’re going to create another human. That’s cloning for reproductive purposes. We object to the use of somatic cell nuclear transfer for reproductive cloning purposes, to create a human. First and foremost, the prospect of using these techniques to clone a human being raises very strong ethical, moral, and social concerns. Besides ethics, though, one of the other barriers [to cloning humans] is more practical: Cloning is very difficult. It is not a simple process, and there’s a lot we don’t understand about it. The macaque cloning is an important advance because it’s going to provide certain insights, but the process itself is still very difficult. If you look at the number of times those scientists had to implant an embryo in order to succeed in getting to the birth of these two primates, you’ll see that it’s not very simple, and we still don’t know what types of mutations we may find in those animals. From a research perspective, we do believe that reproductive cloning should continue to be pursued. It could provide insights into the nature of the body and diseases, as well as pathways to possible treatments for those diseases. While this particular breakthrough involves a primate and not a human, we do believe that research cloning should always follow strict ethical guidelines, even if it doesn’t involve human cells. I think we are still very much in the “yellow light” phase with regard to human cloning. At a minimum, we’d want to perfect cloning techniques on multiple closely related species first and be certain that clones don’t face considerable health risks or consequences (as some other cloned species have). We will want to see how the recently cloned Chinese macaques turn out. Beyond the health risks, the most significant concern is that some segments of society might choose to mistreat the clones or treat them as second-class citizens. Laws and regulations will need to be drawn in advance to address specific issues that arise from cloning and to ensure that clones are guaranteed the same rights as non-clones and are not abused. Bigotry against clones should be no more acceptable than racism or antisemitism. I can say with confidence that nothing I’ve witnessed in the last decade has persuaded me that cloning humans will be less safe or less ethical [than cloning other species]. However, the jury is still out.